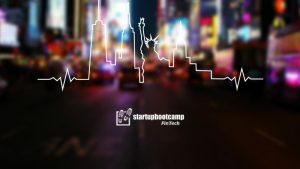 Startupbootcamp FinTech is organizing our first ever FinTech Hackathon in the United States and what better city to kick off an overnight, 24 hour Hackathon event, then in New York “The City That Never Sleeps”! The FinTech City That Never Sleeps Startupbootcamp Hackathon *Powered by Byte Academy* will be taking place June 10th into June 11th at Workville NYC. Stay tuned for more info and register now to participate in the fun!